It seems when you are kissed with fairy dust, all you touch turns to gold. 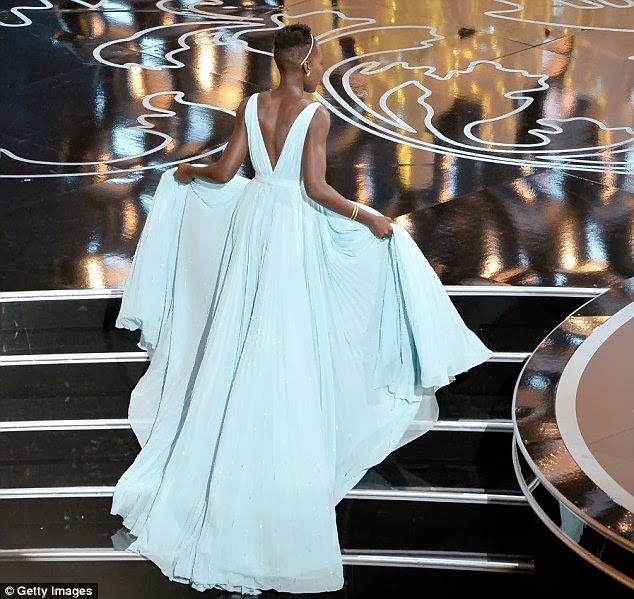 The fairy tale ride for the black Kenya actress, model and beauty is reached a peak as Last night Lupita Nyong'o won an Oscar for Best Supporting Actress for her debut feature film in 12 Years A Slave.. Her very first! She not only won the Oscars , she stole the show at the red carpet with her trademark signature style, when she arrived in a pale blue prada. 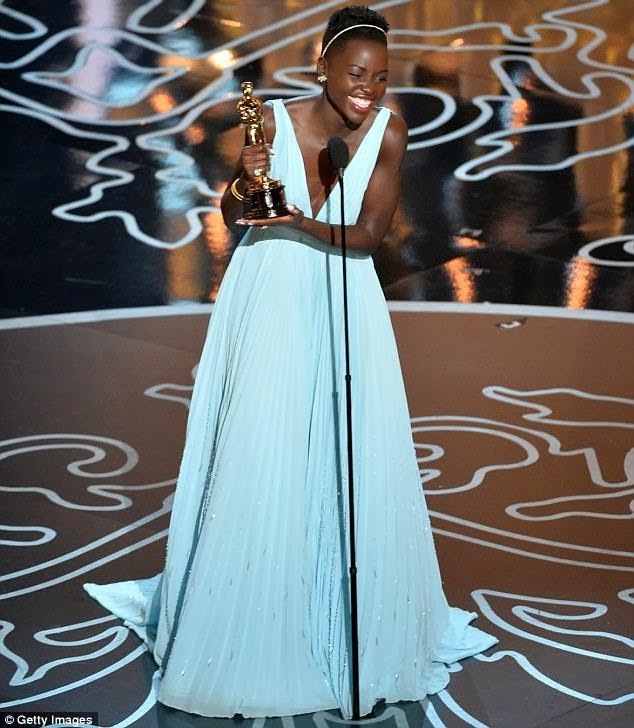 According to the Kenya beauty, she choose the color, because "It's a blue that reminds me of Nairobi so I wanted to have a little bit of home,"
"When I look down at this golden statue, may it remind me and every little child that no matter where you're from, your dreams are valid"